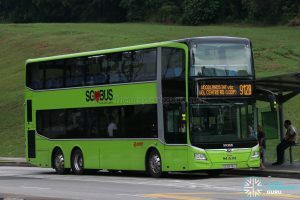 SMRT Bus Service 912B is a Short-Trip Service variant of Feeder Bus Service 912. The route operates daily from Woodlands Bus Interchange and loops at Woodlands Centre Road, operating the West loop of its parent service throughout the day. 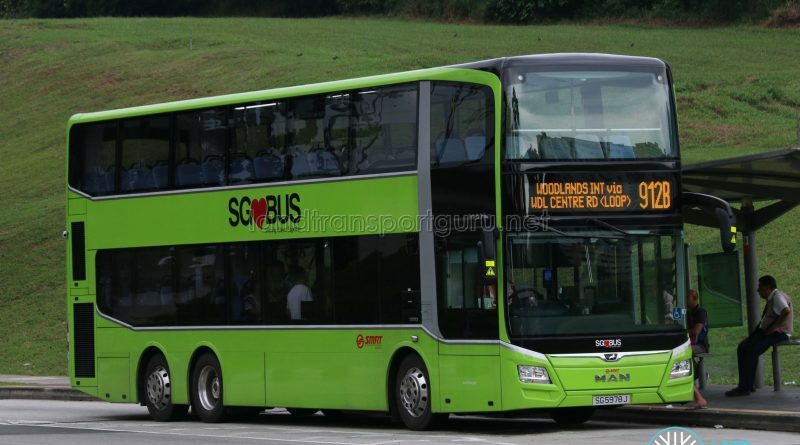 Short Trip Service 912B is a feeder bus service operating from Woodlands Bus Interchange and looping at Woodlands Centre Road, plying the West loop of Service 912. 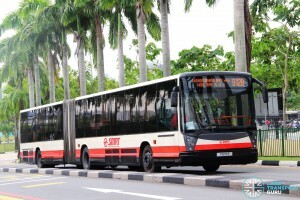 It supplements the passenger demand for Bus Service 912 from residential estates and community amenities within Woodlands Neighbourhood 3 & 4 on the West Loop, connecting passengers with Woodlands MRT station/Interchange. 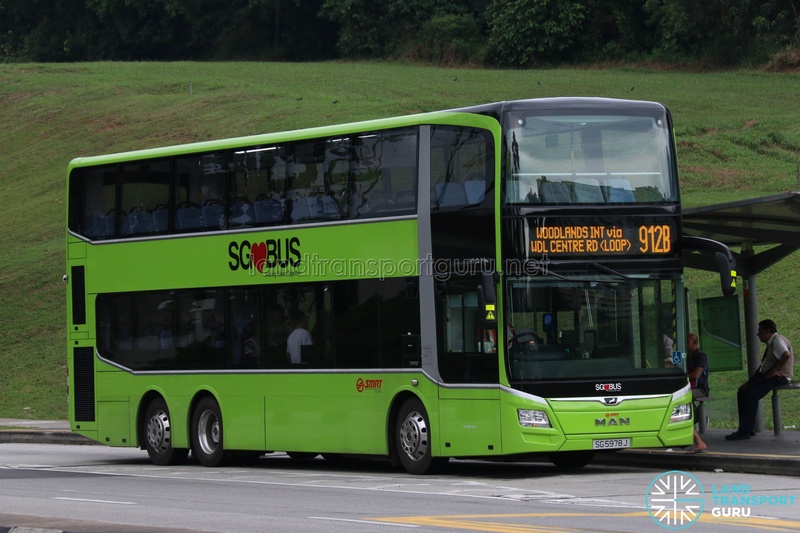 As a Short-Trip Service operating daily, Service 912B departures from Woodlands Interchange are staggered with its parent service throughout the day. 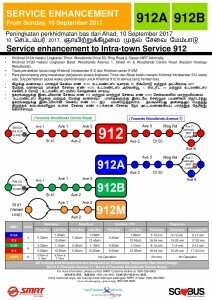 By operating independently from Service 912, Short Trip Services 912A and 912B improve the operational resilience of their parent service, which occasionally encounters irregular headways owing to heavy traffic at Woodlands Centre Road. 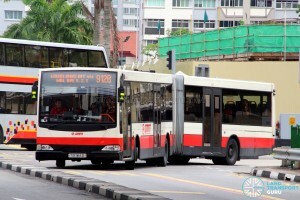 The last few buses of Service 912 daily will operate as Services 912A or 912B. Passengers who are commuting between West and East loops are advised to wait for Service 912, as transferring between Service 912 and its short-trip services will be considered as a new ride, and thus incur higher fares. 2017 (10 Sep): Introduced from Woodlands Bus Interchange to Woodlands Avenue 7 (Loop), plying the West loop of Service 912. Renumbered from Service 912E.